270towin.com -- What's your Electoral Vote prediction? Answer poll and post screencap here or describe what you did with swing states. I think it is going to be a very close election. 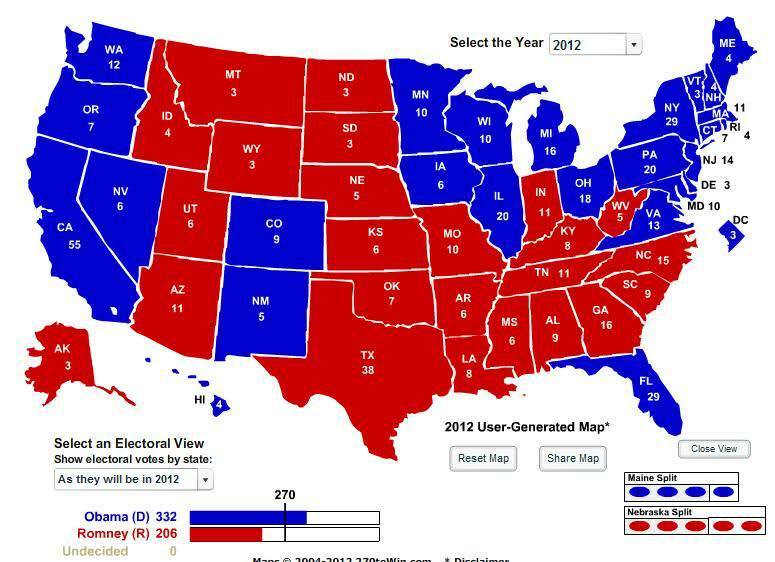 I have Romney winning Wisconsin, Iowa, NC, Indiana out of Obama’s states he won in 2008. With or without a raging war with Iran? I messed up my first poll too. Welcome to the club.